Scroll down for a free printable Map Of Nevada cities, and also a Nevada county map. 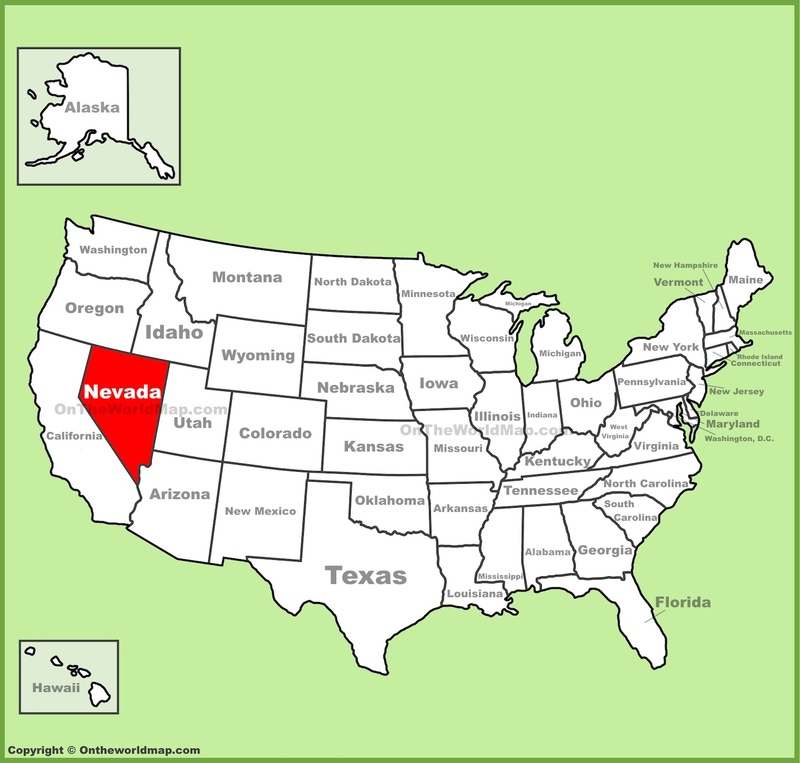 The above US map shows the location of the state of Nevada in relation to other US states. On October 31st of 1864, Nevada became the 36th of 50 states admitted to the Union. Scroll down to find fascinating facts about the state of Nevada. Before it became a known for gambling, great quantities of silver and gold were mined in the state of Nevada. Nevada means "snow capped" is Spanish. Native American tribes from what is now the state of Nevada include Paiute, Shoshone, and Washoe, among others. Nevada is one of only seven US states that does not charge income tax. Nevada is the driest state in America, with less than 10 inches of rain per year, on average. 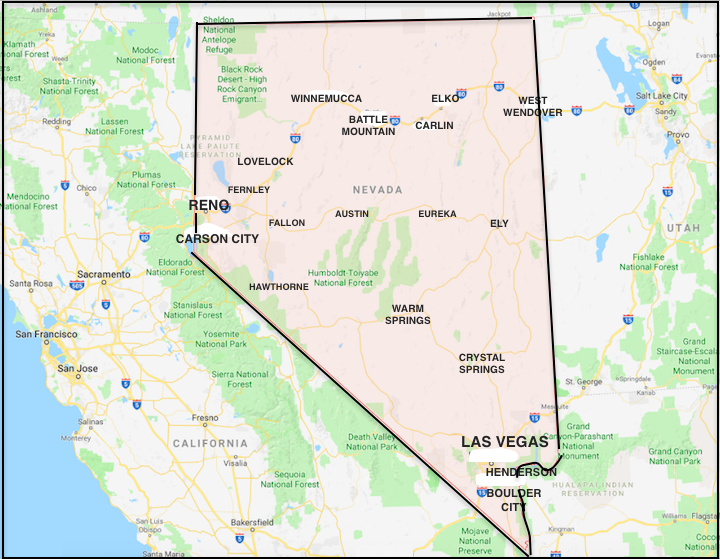 Nevada is the only US state where prostitution is legal. Prostitution is technically illegal in larger cities such as Reno and Las Vegas, but the "world's oldest profession" thrives there anyway. Nevada also has a statewide law allowing the sale of alcohol 24 hours a day from bars, restaurants, and stores. When Nevada's Hoover Dam was completed in 1935, it was the largest dam in the world - 726 feet high and 1,244 feet long. The city of Reno, Nevada is actually west of Los Angeles, California. The first casino in Las Vegas opened in 1931, and was called the Pair-O-Dice Club. Above: An enhanced google Map Of Nevada showing cities, major roadways, and surrounding states. 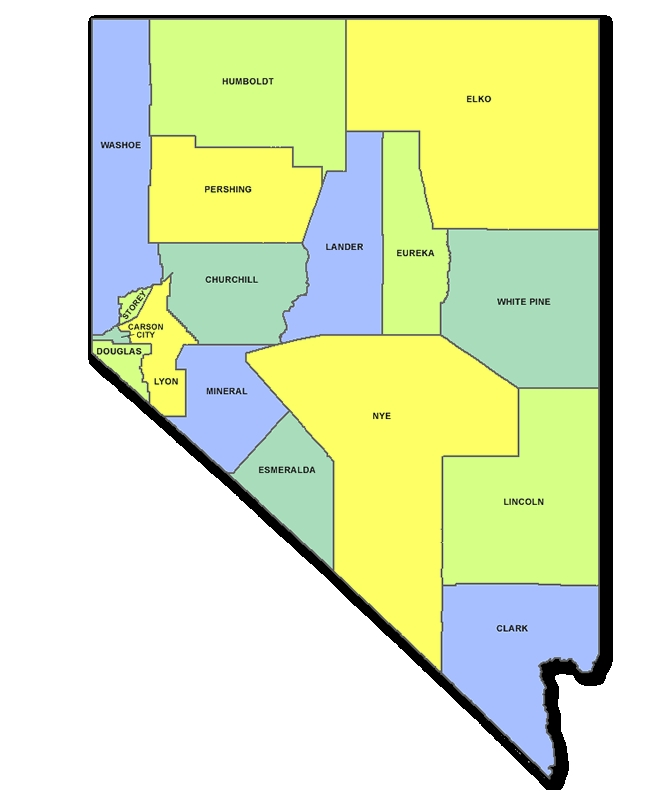 Above: A Nevada county map.